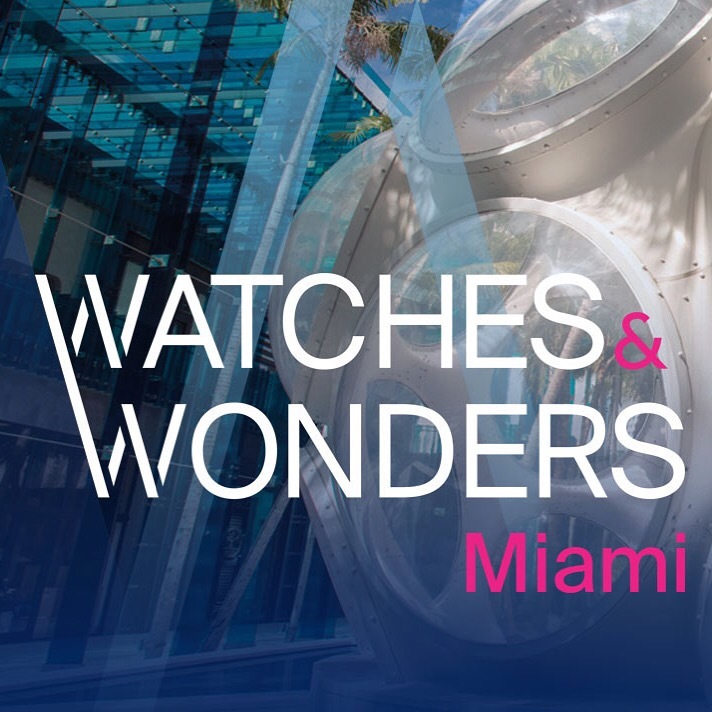 Posts tagged with "Tag Heuer"
The second edition of Watches & Wonders Miami, created by the Fondation Haute Horlogerie (FHH) in partnership with the Miami Design District Associates (MDDA), is expected to be bigger and better, as new maisons continue to confirm their participation for the 2019 event. There are 13 newcomers this year including Chopard, De Bethune, Dior, Girard-Perregaux, H. Moser & Cie., HYT, OMEGA, Roger Dubuis, Speake-Marin, Tiffany & Co., Ulysse Nardin, Zenith, and Turkish jeweler, Sevan Biçakçi, who recently launched a new luxury timepiece collection. In addition, brands including A. Lange & Söhne, Audemars Piguet, Bvlgari, Cartier, F.P. Journe, Hublot, IWC, Jaeger-LeCoultre, Kari Voutilainen, Louis Vuitton, Panerai, Piaget, Romain Gauthier, RJ, Tag Heuer, Vacheron Constantin and Van Cleef & Arpels will be returning exhibitors, bringing the total number of exhibiting maisons to 30. The event will take place over Presidents’ Day weekend from February 15th through February 17th. 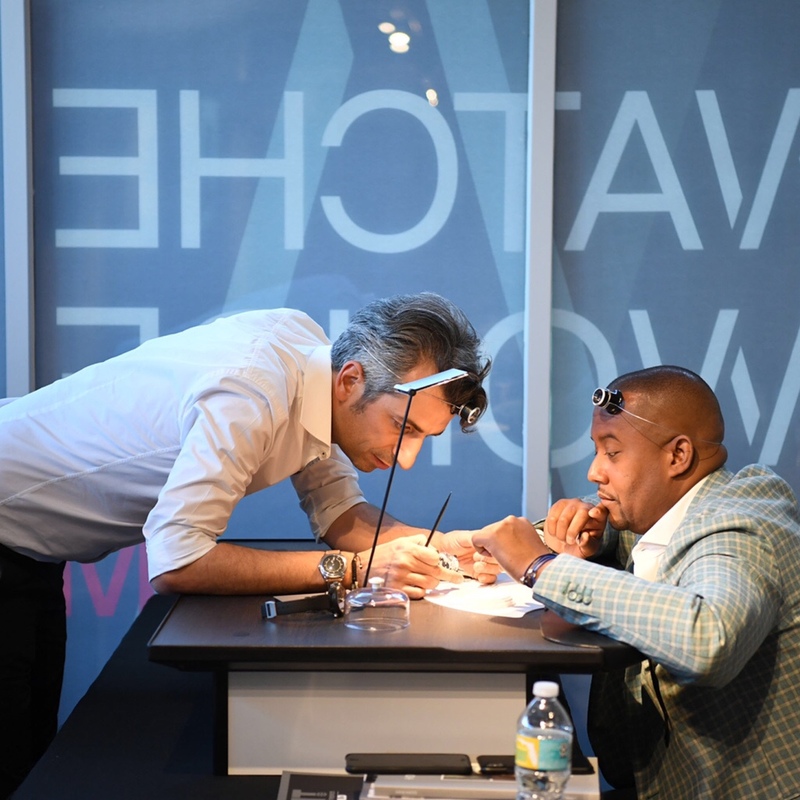 With its direct access to watch enthusiasts, connoisseurs and collectors, exhibiting maisons are using Watches & Wonders Miami as an ideal platform to showcase their newest collections, as well as launch new products and concepts. Piaget will be displaying its record-breaking Altiplano Concept timepiece, the thinnest in the world. Dior will unveil a new personalization service for its Dior Grand Bal watch, allowing customers to design their own made-to-measure timepiece. Hublot will have artwork on display throughout the weekend from renowned artist, Michael Moebius. Jaeger-LeCoultre will showcase the maison’s know- how by featuring various craft stations in their boutique for guests to experience. Patrick Pruniaux, CEO of Ulysse Nardin and Girard-Perregaux, is expected to attend Watches & Wonders Miami and host the global launch of a new watch from Ulysse Nardin, the X Collection, designed to appeal to a younger clientele. In addition to new exhibitors and new product debuts, the FHH is also expanding conference and workshop offerings for 2019. 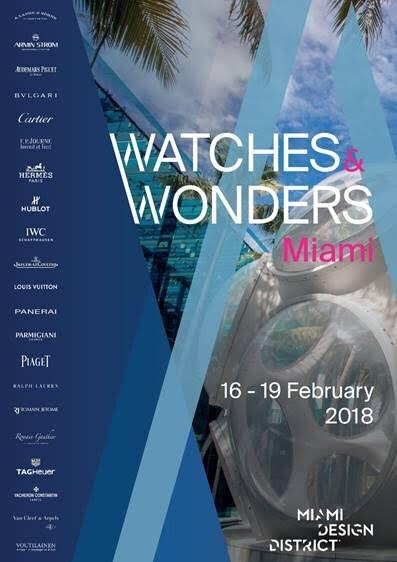 A total of five panel discussions will be held over the course of the weekend and include topics such as ‘Can Women Save the Watch World,’ ‘What’s the Point of Watch Creation,’ and ‘Getting Your Super Collector All-Access Pass.’ Expert panelists will include collectors, executives from premier luxury brands and auction houses, major retailers and top journalists. There will be three workshops offered a day where attendees will have the hands-on opportunity to assemble and disassemble watch movements. Watches & Wonders Miami is also partnering with the 31st annual Miami Yacht Show that will relocate to a new, more expansive location at One Herald Plaza. The 2019 show will feature a 60-acre display, including a massive 67,000 sqf. Exhibition space and nearly 500 yachts from the world’s foremost manufacturers and brokers. For automobile enthusiasts, the Miami Concours will take place the Saturday and Sunday of Presidents’ Day weekend in the Miami Design District and feature an exclusive presentation of incredibly rare vintage, sports and exotic cars from some of America’s most respected collectors. Watches & Wonders Miami will be the ultimate weekend of luxury with watches, jewelry, exotic cars, and super yachts. The Fondation Haute Horlogerie (FHH) was established in 2005 by Audemars Piguet, Girard- Perregaux and the Richemont Group. Headquartered, in Geneva, Switzerland, the FHH strives to promote awareness, understanding and interest in Fine Watchmaking around the world through education, training and specialized events. The FHH works in conjunction with 44 partner brands that provide financial support and assistance with project implementation. by Miami Design District Associates, a partnership between Dacra, founded and owned by visionary entrepreneur Craig Robins, and L Catterton Real Estate, a global real estate development and investment fund, specializing in creating luxury shopping destinations. In 2019, the Miami Design District is expanding dramatically, with new restaurants and luxury boutiques opening in the distinctive, walkable neighborhood that welcomes and encourages innovation. As Miami becomes increasingly known for its own rich culture, the growth of the Miami Design District further reflects how the city is deserving of its place on the global stage. This entry was posted in Fashion + Music and tagged 360 Magazine, A. Lange & Söhne, audemars piguet, BVLGARI, cartier, chopard, concours, De Bethune, Diana Macaraeg, Dior, exotic cars, F.P. Journe, Girard-Perregaux, H. Moser & Cie., hublot, hypercars, HYT, IWC, Jaeger-LeCoultre, jeweler, Kari Voutilainen, Louis Vuitton, luxury, Miami arts district, omega, Pagani, Panerai, Piaget, RJ, Roger Dubuis, Romain Gauthier, Sevan Biçakçi, Speake-Marin, Tag Heuer, Tiffany & Co., Ulysse Nardin, Vacheron Constantin and Van Cleef & Arpels, Vaughn Lowery, watches and wonders, Yachts, zenith on February 8, 2019 by wp360mag. A. Lange & Sohne, Audemars Piguet, Bulgari, Cartier, Hublot, IWC, Jaeger-LeCoultre, Louis Vuitton, Panerai, Piaget, Tag Heuer and Vacheron Constantin among others. The watchmakers will each unveil their newest creations for the first time in the United States during WWM. This unprecedented advance preview of what’s to come in the world of high horology, coincides with the Miami Design District Concours—an exceptional showing of more than 100 of the most significant post-war vintage, sports/exotic cars and supercars, including iconic examples from Ferrari, Lamborghini, Porsche, Aston Martin, Bentley and Rolls Royce. The 30th annualMiami Yacht Show, featuring the world’s most extraordinary and uniquely designed yachts from top custom boat builders and brokers, takes place nearby on Collins Avenue, rounding out a weekend of ultimate luxury for guests. “The Miami Design District is recognized around the world as a destination for art, culture and luxury. Thus, it is the perfect partner to help us create a truly world class watch and jewelry experience where we can not only give enthusiasts a ‘first look’ at the newest products, but also offer them dynamic exhibitions and learning opportunities, as well as interaction with the industry’s leading authorities,” states Fabienne Lupo, Chairwoman and Managing Director of the FHH. Watches & Wonders Miami will kick-off President’s Day weekend with a full Friday evening program in Paradise Plaza. The evening will feature the Miami Design District Performance Series presented by Knight-Foundation and produced by Emilio Estefan, followed by an exclusive gala cocktail celebration in the Palm Court. Throughout the weekend, guests will have access to ‘Telling Time,’ a special exhibition comprised of nine videos, creative installations and dramatic performance works by international contemporary artists. WWM will also feature immersive virtual reality experiences, each designed to bring the world of fine watchmaking to a new dimension. As part of WWM, the FHH is developing a robust conference line-up and educational workshops that will be accessible to anyone from amateurs to connoisseurs and collectors. In addition, Hodinkee, the industry’s preeminent resource for watch enthusiasts, is providing support on content development for WWM. Children’s programs will also be offered on Sunday, making WWM the ideal destination for families over the holiday weekend. The Fondation Haute Horlogerie (FHH) was established in 2005 by Audemars Piguet, Girard- Perregaux and the Richemont Group. Headquartered, in Geneva, Switzerland, the FHH strives to promote awareness, understanding and interest in Fine Watchmaking around the world through education, training and specialized events. The FHH works in conjunction with 41 partner brands that provide financial support and assistance with project implementation. The Miami Design District is a neighborhood dedicated to innovative fashion, design, architecture and dining experiences. The Miami Design District is owned by Miami Design District Associates, a partnership between Dacra, founded and owned by visionary entrepreneur Craig Robins, and L Real Estate Catterton, a global real estate development and investment fund, specializing in creating luxury shopping destinations. Together Dacra and L Real Estate Catterton have actively transformed the once-overlooked area of Miami into a vibrant destination for residents and visitors by presenting the best shopping, cultural and culinary experiences within an architecturally significant context. The vision for a rejuvenated Design District — responsive to its historic, urban and tropical context – was codified in an urban master plan developed by the award-winning master planners Duany Plater-Zyberk, with the additional participation of architects including Walter Chatham, Hariri and Hariri, Juan Lezcano, Terence Riley, and Alison Spear. The Miami Design District embodies a singular dedication to the unity of design, fashion, art and architecture, and a commitment to encourage a neighborhood comprised of creative experiences. This entry was posted in Uncategorized and tagged 360 Magazine, A. Lange & Söhne Audemars Piguet, art, art Basel, bentley, BVLGARI, cartier, Celebrities, classy, design, elegant, exotic, hublot, iWC Schaffhausen, Jaeger-LeCoultre, jewlery, Lamborghini, Louis Vuitton, luxury, Maisons, mercielago, Miami, miami art district, Panerai, Parmigiani, Piaget, pop culture, Porsche, sports cars, Switzerland, Tag Heuer, timepieces, Vacheron Constantin, Van Cleef & Arpels, Vaughn Lowery, watch and wonders, watches on November 23, 2017 by Pitch360.